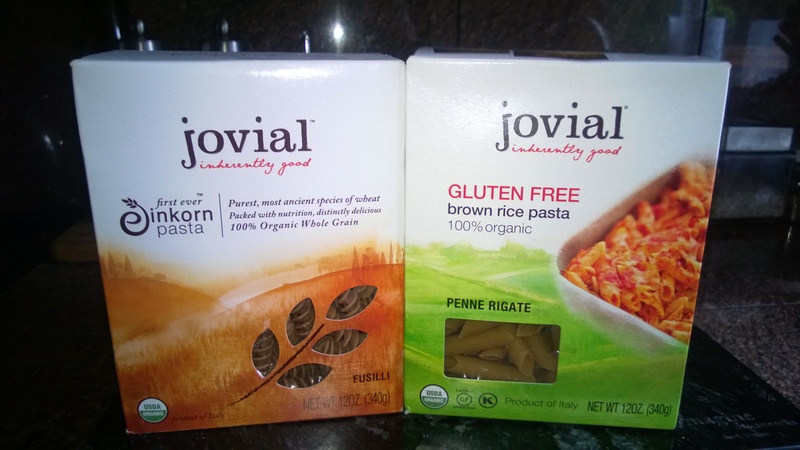 So I’ve been hearing about this ancient wheat possibly being digestible for us gluten challenged people and have found one company that is making pastas from one of the strands, and selling the flour. It is called Einkorn wheat and the company I have stumbled upon is Jovial. I have liked their gluten free pastas for a while now, and really enjoy their blog and recipes but up until now I have kind of ignored the whole ‘ancient wheat’ thing thinking it wasn’t for gluten intolerant people. Now I’m starting to hear mumblings that perhaps it is. Obviously, a celiac needs to take extra precaution, but for all those people who don’t eat wheat just because it makes them feel awful in one way or another, this just might be a way to enjoy it again. I don’t know~ I haven’t tried it yet myself. Funny how I used to eat wheat nonstop and now I’m stalling about trying this new development of an ancient grain, but I really don’t like feeling sick. (Shocking, I know.) And really I’d like some more evidence before eating it and possibly feeling sick and causing damage to myself. But, if anything is going to lure me in it will be the possibility of a hearty European style loaf of bread to eat. I could eat alternative grains for pasta, pastries, crackers, and just about anything else quite happily for the rest of my life, but a good old fashioned hunk of crusty bread just can’t be made without wheat. Or at least it doesn’t taste nearly as good, in my humble opinion. Of course, that also means I need to learn how to make a good old fashioned European crusty loaf myself, and apparently Einkorn is tricky to work with (which is exactly why it has gone out of fashion while the higher yield, higher gluten wheats have flourished.) As soon as I drum of the nerve to tackle the baking, and the eating, it’ll be documented here first.